We have all heard it before: real estate is one of today’s best wealth-building strategies, if not the best way to build wealth. And while you could certainly argue whether or not real estate belongs at the very top of everyones list, there is absolutely no reason to believe it doesn’t warrant consideration for the best wealth-building strategy of all time. Mind you, a little due diligence, some forward thinking, and some hard work can go a long way in the housing sector. Today’s best investors know it, and perhaps it’s time you started taking some notes of your own. Not only did 2016 usher in a new era for home flipping activity, but it also saw an encouraging rise in the resulting profits for those contributing to the trend. “Homes flipped in 2016 sold for a median price of $189,900, a gross flipping profit of $62,624 above the median purchase price of $127,276 and representing a gross flipping return on investment (ROI) of 49.2 percent,” said RealtyTrac. For my money, the best way to build wealth is through real estate, and you better believe those that realized the average return on investment in 2016 share my same sentiment. While data for the first quarter of this year has yet to be released, there is nothing to suggest the trend won’t continue. With the housing market currently firing on all cylinders, I see no reason to believe real estate won’t remain the best way to build wealth in 2017. It’s worth noting, however, that the best way to build wealth isn’t based solely on the industry or wealth-building vehicle you choose, but rather what you hope to accomplish. If for nothing else, you can’t gauge whether or not your wealth-building attempts have been met with any degree of success unless you know what you want to achieve in the first place. Having said that, the best way to build wealth depends on your goals. Coincidentally, real estate happens to be one of the best ways to meet those goals. I maintain that the best way to build wealth is to first establish what it is you hope to attain. All things considered, wealth, rather how much you manage to accumulate, is all relative. Whereas one person may find a year in which they make $50,000 flipping homes a massive success, others (those with more experience) could hope to realize that amount on one property alone. That said, wealth means different things to different people. In reality, only one thing matters: whether or not you meet your own goals. And for what it’s worth, your goals should dictate your wealth-building strategy. For example, if you are looking for a more risk-averse strategy to build wealth in a relatively short period of time, you might want to prioritize wholesaling above any other exit strategy. However, if you are more long-term goal oriented, it may be in your best interest to pay special considerations to a buy and hold real estate investing strategy. When all is said and done, the big three (wholesaling, rental properties, and rehabs) each represent a great way to build wealth. However, each does so in a different way. What you need to do first is determine what your goals are, and from there, use them to pick the exit strategy that best suits what you hope to accomplish. Otherwise known as the gateway to real estate investing, wholesaling will cater to those with a specific set of goals. Namely, a proper wholesaling strategy will facilitate faster transactions within a relatively risk-averse environment. It’s worth noting, however, that such an investing environment isn’t without its own caveat: While wholesaling is typically less risky and investors can complete deals faster than, say, a rehab, this strategy doesn’t coincide with the large net profits that have become synonymous with flipping. What you lose in profit potential, however, you can more than make up for in quantity and speed of implementation. So while a single wholesale may not be the best way to build wealth, the profits form several wholesale deals can add up over time. For what it’s worth, wholesaling is the best way to build wealth for those that want to mitigate risk without having too much skin in the game. Not unlike wholesaling, rehabbing — the poster-child of today’s real estate investing community — awards savvy investors an entirely different way to build wealth. Instead of offering shorter turnaround periods for smaller sums of money, rehabs typically take anywhere from three to six months and coincide with larger profits. If your current vision would rather see you commit to fewer projects with larger upside (but slightly more risk), you should consider rehabbing. Slightly more advanced, your standard rehab will involve more than a typical wholesale, but your efforts will be rewarded accordingly if you execute your plan to perfection. If flipping a few homes a year sounds better than wholesaling several properties in the same amount of time, rehabbing may be the best way to build wealth for your investment company. Note that, as a rehabber, your paydays will be fewer and further between than a typical wholesaling strategy. So while your paychecks will tend to be larger on flipped property deals, remember that you will probably have a lot of down time between each transaction. Be sure to plan and save accordingly. Of the three exit strategies I am going to talk about today, buying and holding rental properties probably accommodates the most niche of real estate investor goals. 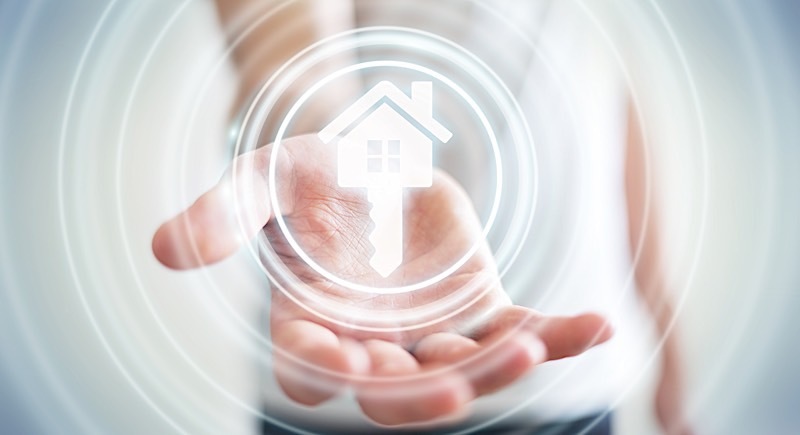 While wholesaling and rehabbing can be used to meet both long-term and short-term profits, buy and hold rental properties are typically reserved for long-terms gains — nothing more and nothing less. That said, the best buy and hold strategies can help investors build wealth well into their golden years if they follow the right systems. So if your goals are to slowly amass wealth over a long period of time, you should consider becoming a rental property owner. And if that’s the case, the best way to build wealth for your investment company is, without a doubt, buy and hold properties. There is no doubt about it, real estate is a great way to build wealth; some would say it’s the best way to build wealth. Today’s most prolific investors have realized real estate is a great wealth-building tool, and it’s time you realized it, too. It’s worth noting, however, that not all real estate strategies build wealth in the same way. Whereas rental properties slowly build wealth over time (passively might I add), rehabbing offers investors the opportunity to make large sums of money in a matter of months, if not weeks. As an investor, it’s in your best interest to first determine your own goals. Do you want to make large sums of money by rehabbing every few months? Are you more inclined to mitigate risk and take smaller paychecks by wholesaling? Perhaps you want to accumulate wealth for retirement with rental properties. Whatever the case may be, be sure to make certain it’s what you want. Only then can you determine the best way to build wealth for your own company.